I was concerned about my toe nails that are turning back, so made a last min appointment before the clinic wasclosed. Dr Goodeill accepted my appointment request immediately. During the check-up, he explained patiently why the bruise happened, along with suggested treatment and after-care. It was one of the best experiences I’ve had. I was concerned about my toe nails that are turning back, so made a last min appointment before the clinic was closed. Dr Goodeill accepted my appointment request immediately. Duringthe check-up, he explained patiently why the bruise happened, along with suggested treatment and after-care. It was one of the best experiences I’ve had. Dr. Andrew is kind & welcoming and each visit is almost exclusively one-on-one with the Dr. Dr. Andrew Goodeill is veryknowledgeable. Highly recommended. Dr. Andrew is kind & welcoming and each visit is almost exclusively one-on-one with the Dr. Dr. Andrew Goodeill is very knowledgeable. Highly recommended. 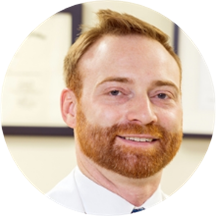 Dr. Andrew Goodeill is a skilled and qualified podiatrist, looking after multiple locations across Washington. Currently practicing at Advanced Foot & Ankle Clinics, he spends time with his patients to explain to them their condition. He informs them about suitable options available before moving on to surgery. Dr. Goodeill graduated from the New York College of Podiatric Medicine, where he received his doctoral degree in podiatric medicine. He is an active member of the American Academy of Podiatric Sports Medicine and the American Podiatric Medical Association. Passionate about practicing cost-effective, evidence-based, and compassionate medicine, Dr. Goodeill realizes that surgical care is often warranted, but should be thoroughly discussed with the patient. He understands the needs of his patients and treats every person with the compassion, respect, and attention they deserve. Dr. Andrew is very proffesional. He was friendly & he thoroughly explained the issues with my feet. I will definitely be working back. Advanced Foot & Ankles always treated me exceptionally well. The Dr. took the time to get to know me. I have always received excellent, very proffesional care.